We have a color for the 2011-12 Rotary year, and that color is green. Why green? Because green is the color of spring, of new life, of bright leaves bursting forth from spreading branches. And there is no doubt that it is time to “green” Rotary – to lift our deepening pallor of gray and replace it with brighter shades of green. Overall, in Rotary, only 11 percent of our members are under the age of 40, while 68 percent are over 50 and 39 percent are over 60. It’s not too hard to see where this will lead us in 10, 20, and 30 years down the line, if we don’t do something about it now. It is not enough to simply bring in new members. We need to bring in younger members, who will breathe new life and new vigor into our organization. How can we be more attractive to younger members, who are so different in so many ways from the young professionals of a generation or two ago? We have to come to them where they are – and for most young people, where they are is on the Internet, on Facebook, on Twitter and e-mail, and on their smartphones. A club that doesn’t have a presence on the Internet simply doesn’t exist as far as they are concerned. A club’s website is its public face – and it has to be a good one. More than anything, I believe we need to bring back the idea of the family of Rotary. We need to look at all of Rotary as one family: Rotarians, their families, and also Rotaractors, Interactors, Youth Exchange students and alumni, Foundation alumni, and so on. 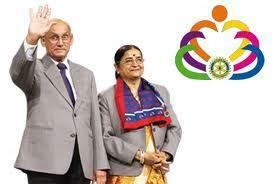 And we need to consider retention as an idea that applies not just to Rotarians, but to the entire family of Rotary. Too often, we look outward to find new members, and we do not see our own young generation, waiting to be called upon. We must look to them to find the capable and enthusiastic new members who will be the club presidents, the district governors, and the RI senior leaders of tomorrow. We owe it to our Rotary family – past, present, and future – to make sure that our generation of Rotarians is not the last. 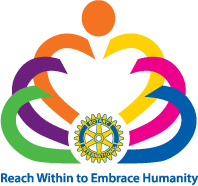 We must, in a very real sense, reach within – to embrace our Rotary family, so that we can better embrace all of humanity.